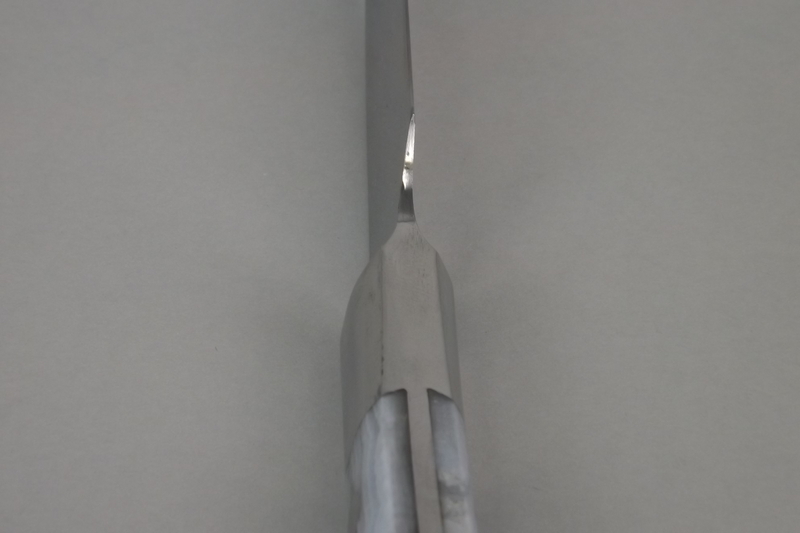 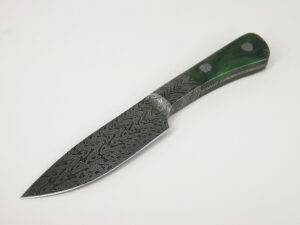 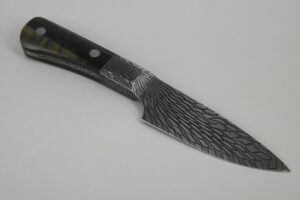 This small integral style gents knife is forged from W2 steel. 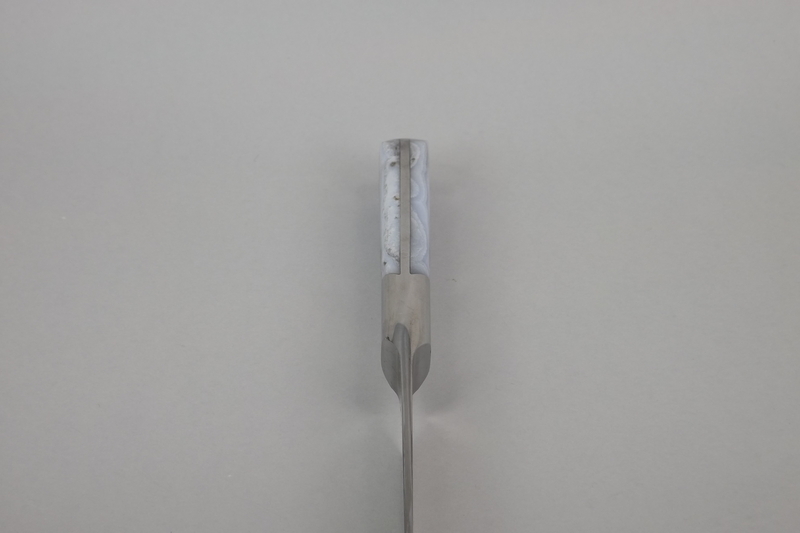 It is differentially heat treated. 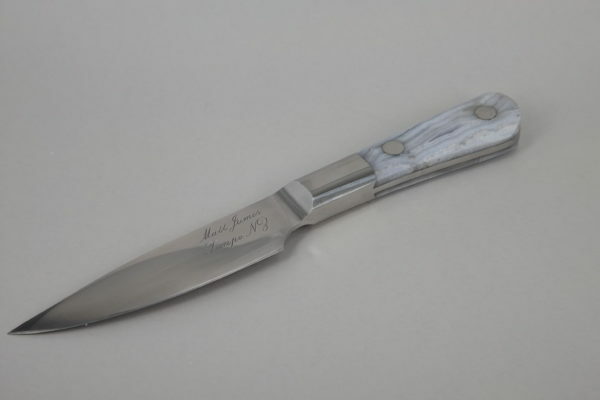 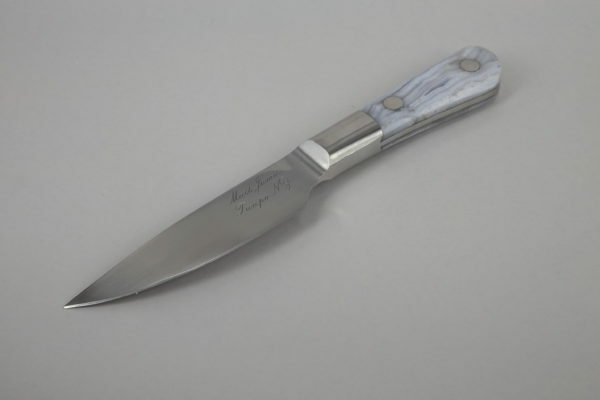 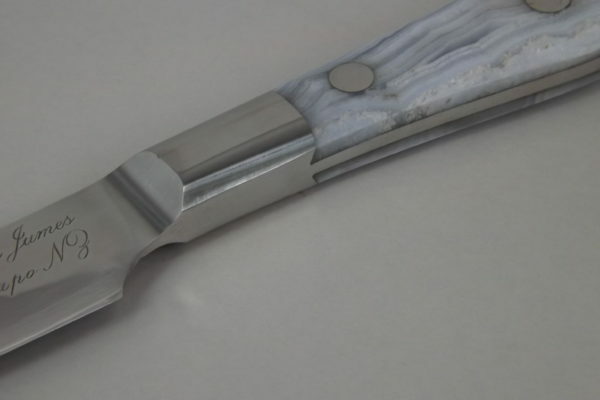 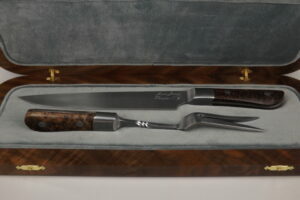 The handle material is Namibian blue lace agate and is dovetailed in behind the bolster area. 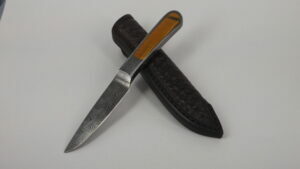 It has a black oak tanned basket weave leather sheath. 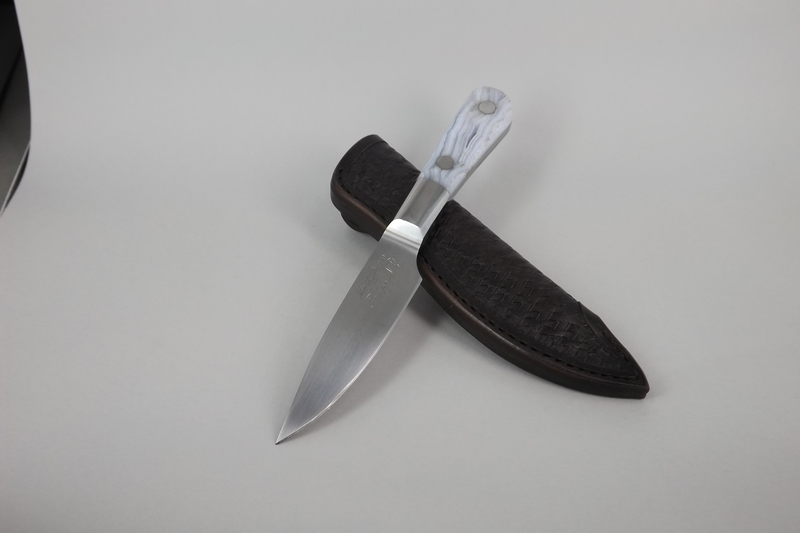 The sheath is hand stitched.